Today I went to the GRIPS Theater (English) instead of the office. Once a year ImmobilienScout24 donates the work force to social projects, called Social Day. I used the opportunity to catch a glimpse behinde the stage. The theater in turn got a workshop from us about their web site and social media channels. But first we watched a very nice children show (Ein Fest bei Baba Dengiz) about a German guy who learned respect for foreigners - from another German with Turkish background. The show was well adapted to the school-age audience. This was my first visit to the GRIPS Theater, but not the last. 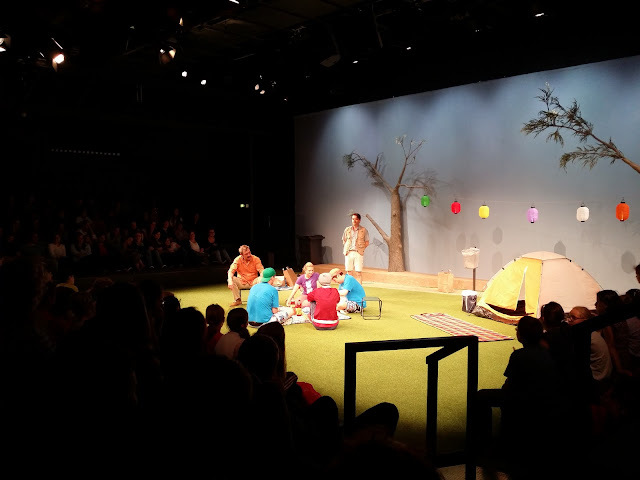 Besides a rich children programme the theater also offers shows for adults and is most famously known for the show Linie 1.